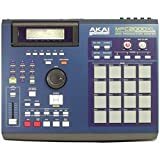 My first impressions on the newest and smallest MPC in Akais great lineup of sampler/beat machine was thatit just HAD to be a lesser equiped version of those higher numbered MPC.WRONG!! 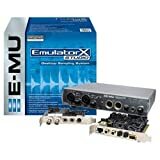 !.I've used all MPCs and can say that I am pretty skilled with the MPC-60, 60 II, 2000, 200xl, and 3000 and just begining to peak at what the MPC4000 can truly do (it is in a whole different level and not at all for the novice). The MPC1000, in my opinion is the best of the lot (not including the MPC4000).It doesn't have the warm sound that the MPC-60/60 II has but overall it can do anything that you want it to do.It does everything that a 2000/2000xl can do.It may have a smaller number of outputs but that is not that big of a deal if you know what you are doing. Armed with a computer (as most of us are) the MPC1000 is extremely capable of accomplising any task that its big brothers can.In fact it handles many things better than those costing much more. The MPC1000 is set up more like an MPC4000 and will aid those who hope to step up to using the big boy.Starting with a 2000 or 3000 will hinder you, in that some of those things you will do on those machines you will have to re-learn how to do those same things on the 4000 (once you pay the big bucks to make that move). Don't be put off by it's tiny size.Max out it's memory, get a big compact flash card (it canhandle up to a 2 gig card, WOW) and this little box will STOMP the 2000 and 3000, even the 60 (remember those aren't made anymore and are quit old).